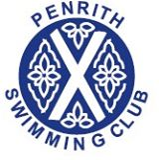 PENRITH Swimming Club youngster Danny Smith produced the performance of the day at the county championships at Barrow. He was placed first in the 15-year-old boys 200m breaststroke in a time of 2min 45.59sec, smashing his personal best by ten seconds. Danny also took third place in the 200m freestyle in 2.21.21 and fourth in the 100m butterfly in 1.14.47. Other notable swims came from Jenny Bradbury, who came seventh, and Laura Huggon, ninth, in the 11-year-old girls 50m butterfly. The girls achieved times of 39.97 and 40.94 respectively while Amy Furness was eighth in the 10-year-old girls 50m butterfly in 43.68. The following week, at Workington, Naomi Smith took fourth place in the 13-year-old girls 50m breaststroke in 39.76. Laura Huggon was fourth in the 11-year-old girls 200m butterfly in 3.46.10. Jenny Bradbury came eighth in the 11-year-old girls 50m freestyle in 33.85, Chloe Naylor was sixth in the 15-year-old girls individual medley in 2.54.49 and Lisa Bates took eighth in the 10-year-old girls 200m individual medley in 3.34.45. On Saturday, Daniel White came third in the 13-year-old boys 400m individual medley in 6.54.77. Jenny Bradbury was again to the fore as she finished fifth in the final of the 11-year-old girls 100m butterfly in 1.30.85, while Laura Huggon was placed seventh in the same event just 10 seconds behind. Laura also finished fifth in the 11-year-old girls 100m freestyle in 1.16.49 and Jenny four places back in ninth in 1.20.16. The county championship is demanding for the young swimmers with meetings taking place on six full Saturdays in March and April across Cumbria.